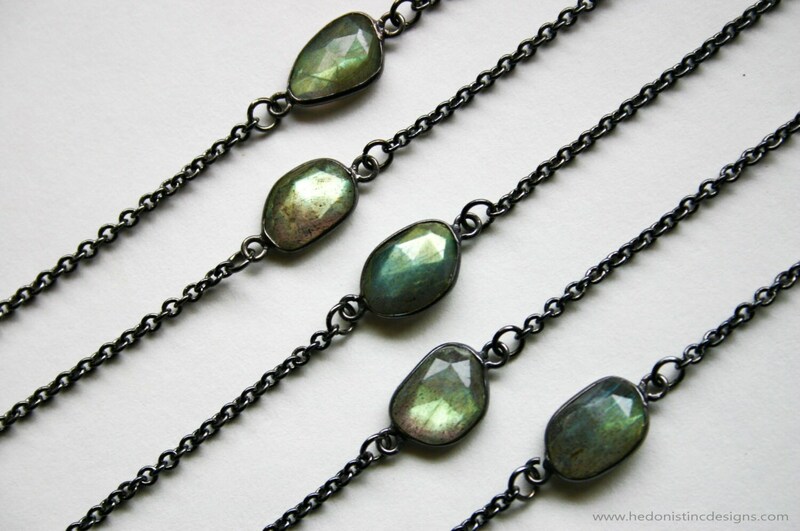 One necklace, featuring an organic shaped hand cut faceted labradorite stone with golden flash in a bezel setting, hanging from a gunmetal plated brass chain. You will receive one of the items from the photos or similar from the same batch. Absolutely love this piece! It’s exactly as advertised in the picture. I couldn’t be happier with it! This is my third necklace like this one but each is a different stone. This one is my favorite because of the extender chain! I still keep it on the smallest size but since the extender chain hangs it keeps the necklace in the perfect spot that I want it! I'm always adjusting the other ones. 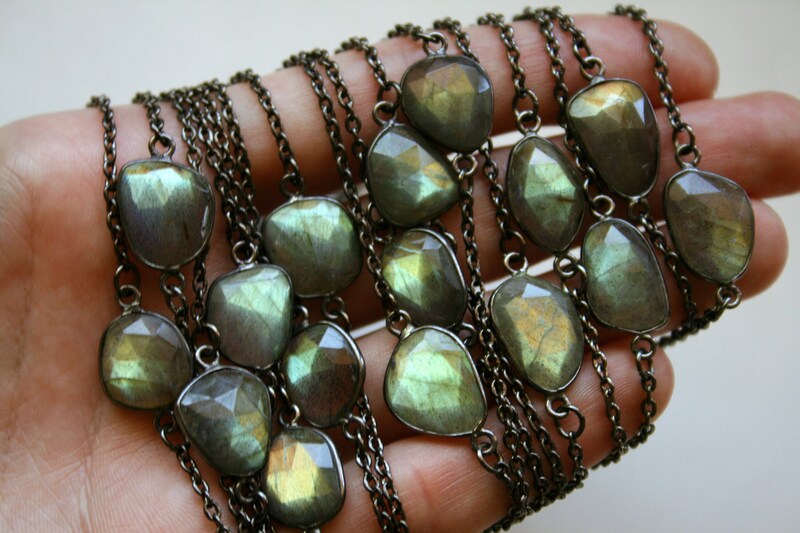 The labradorite is beautiful. Thank You! 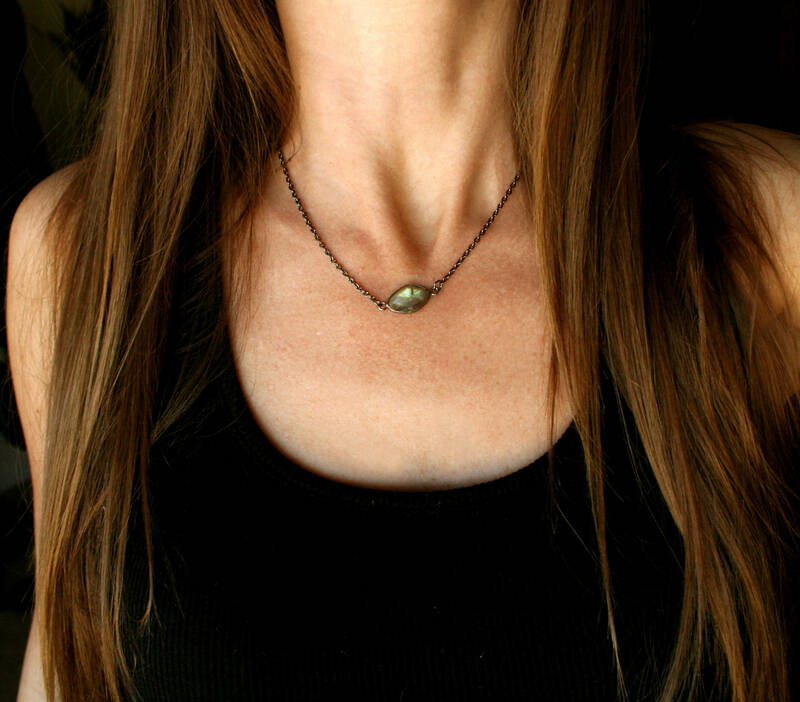 A cute dainty necklace and it shines in the light! Shipping was fast and came with careful packaging.